It's that time of year again - new equipment upgrades! Now through the end of the year, you will see new enhancements to our fitness floor and track level. 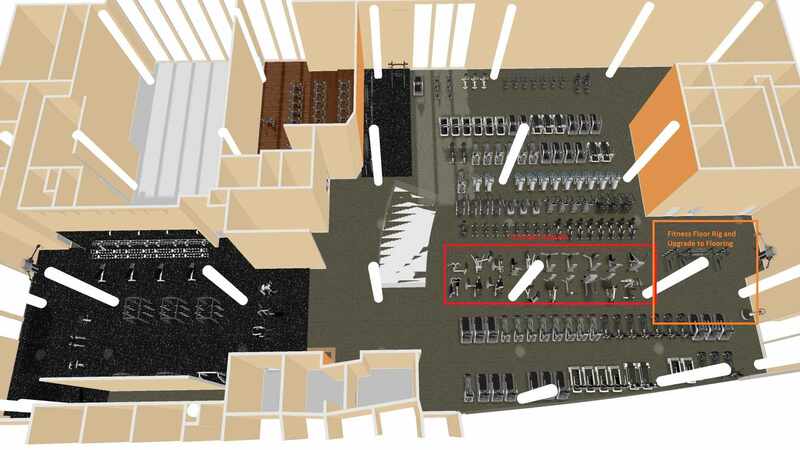 Below is a visual representation of how we will be enhancing our Strength Equipment and installing a new, Member Rig. 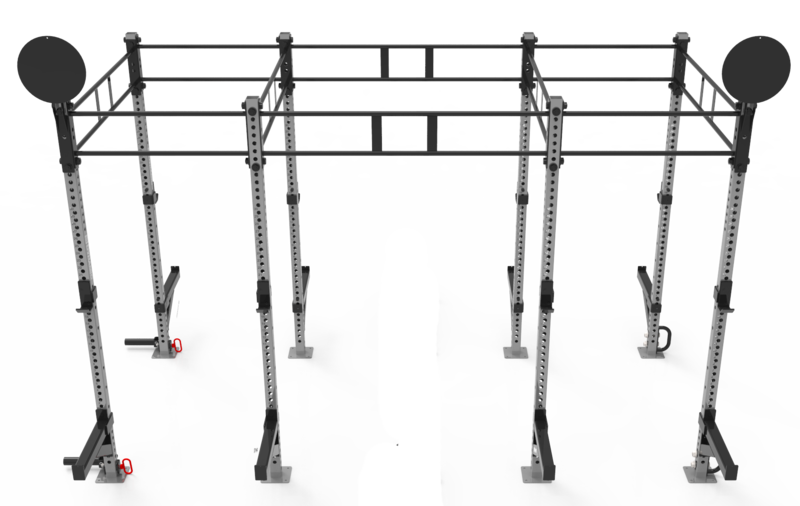 Strength Equipment: To make room for the Member Rig, we will be switching out our Linear and Freemotion equipment for new, updated pieces. We will not lose any of the movements that we currently have; there will just be more movement options available per each piece of equipment. We added floor coverage to help assist members with these new pieces of equipment. 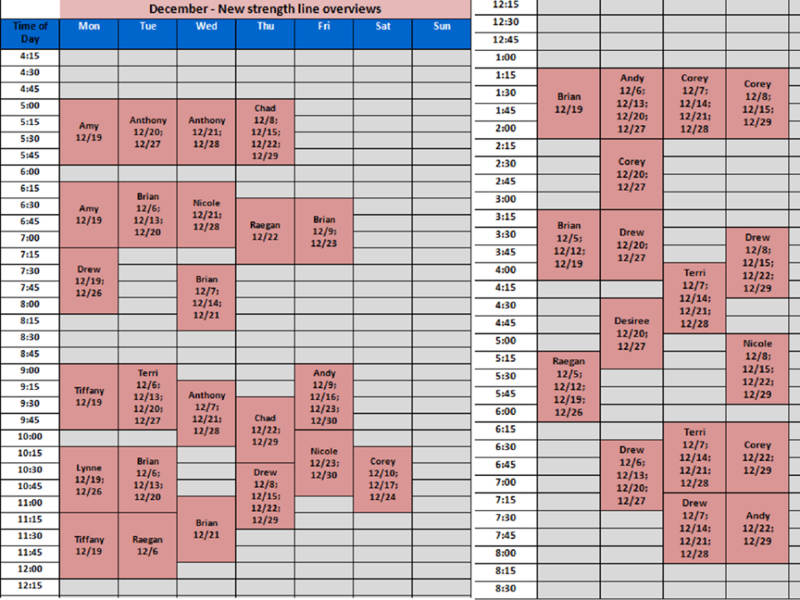 Note on the schedule below: left side indicates morning hours and right side afternoon. Suspension Training Rig (Track Level): We will be adding a smaller rig to the track level training zone to allow for suspension training. 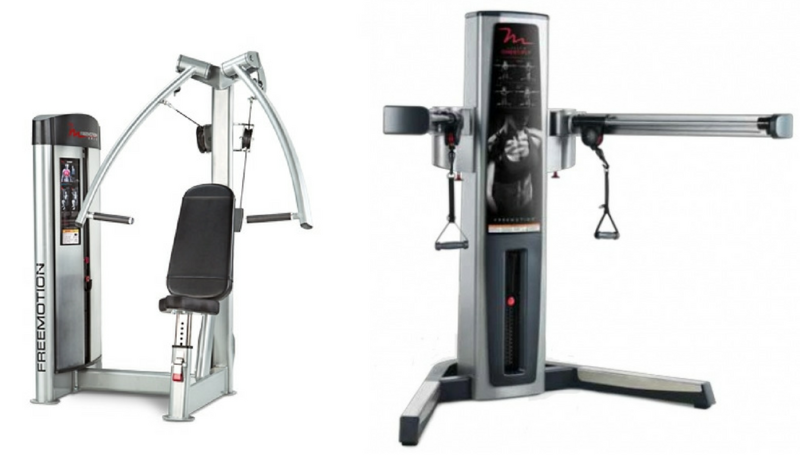 Cardio Equipment: We will be exchanging outdated cardio equipment for newer cardio equipment at both the downtown location and St. Marys Generose location. We are excited for these changes and glad we can continue to enhance the Dan Abraham Healthy Living Center to give you what you need to continue to lead a healthy lifestyle!